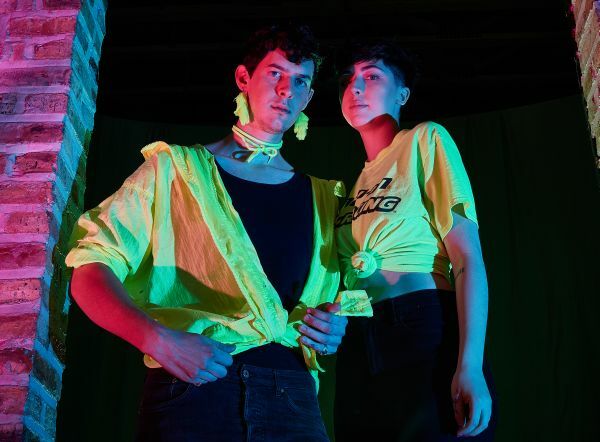 Chicago-based electronic/synth-pop outfit Pixel Grip is set to drop the first single off their upcoming debut full-length album. The LP, titled Heavy Handed will arrive in April via Feeltrip Records. Rita Lukea (vocals), Jonathon Freund (synthesizers, production), and Tyler Ommen (drums) of the self-described “disco delinquent” Pixel Grip have already released a handful of enticing tracks and now The Big Takeover has the pleasure of hosting the latest number, “Plastic Enemies”. It’s a bold and dreamy ballad in which Lukea’s wistfully ethereal vocals float just on top of the arpeggiated synth lines. Sparse, but precise drum tracks provide solid ground to make “Plastic Enemies” a rare dance track with emotional intelligence. The trio have spent the past two years playing tirelessly at venues like Thalia Hall, word-of-mouth underground electro dance parties, and on festival stages. They have also been hard at work recording Heavy Handed at Decade Music Studios, an LP that melds Chicago house, French electronica, and high-energy to atmospheric synth-pop to create an enticing and entrancing sonic paradise beyond heaven.